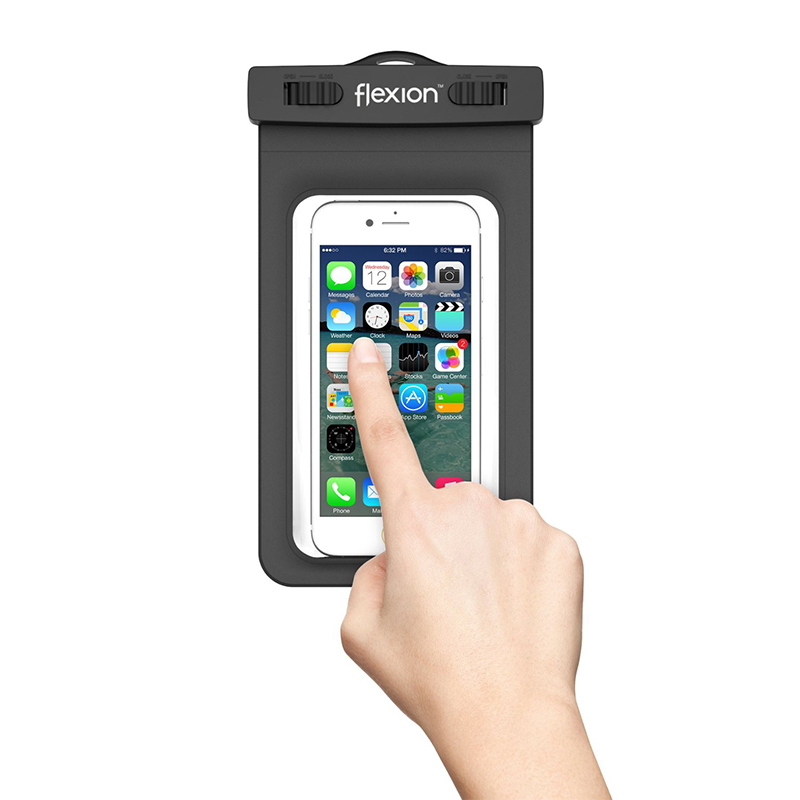 True FlexTech™ - our Kinetic Series defines elegant and functional products for your active lifestyle. 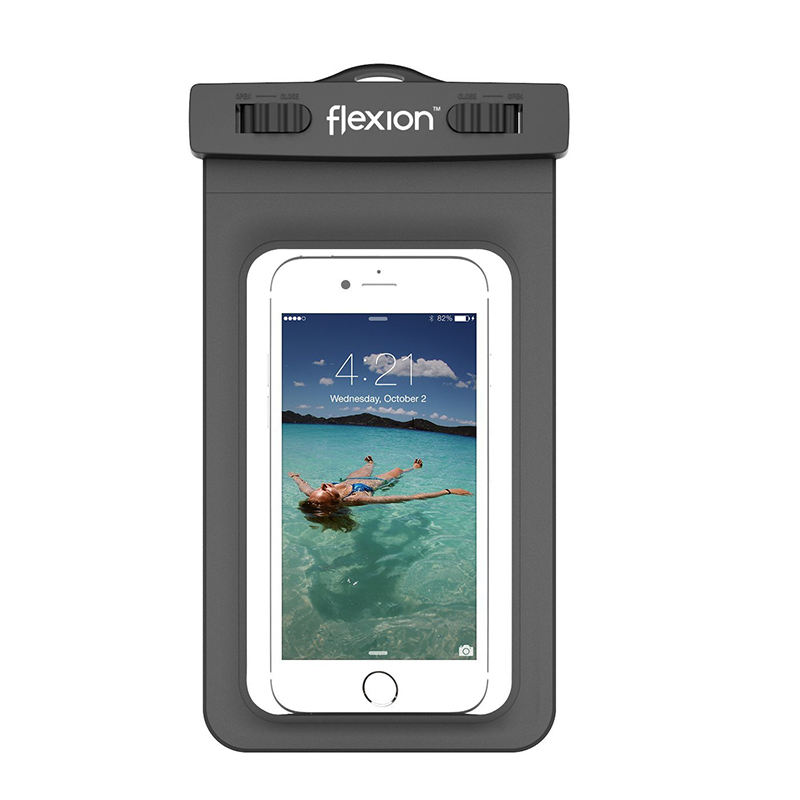 Whether at the beach or the waterpark, our Flexion™ Waterproof Case Bag is no exception. Universal Phone Compatibility: for phones up to 6.0" diagonal size, the Flexion™ Waterproof Case Bag is the perfect worryfree option for your phone and small items (credit cards, cash, keys). 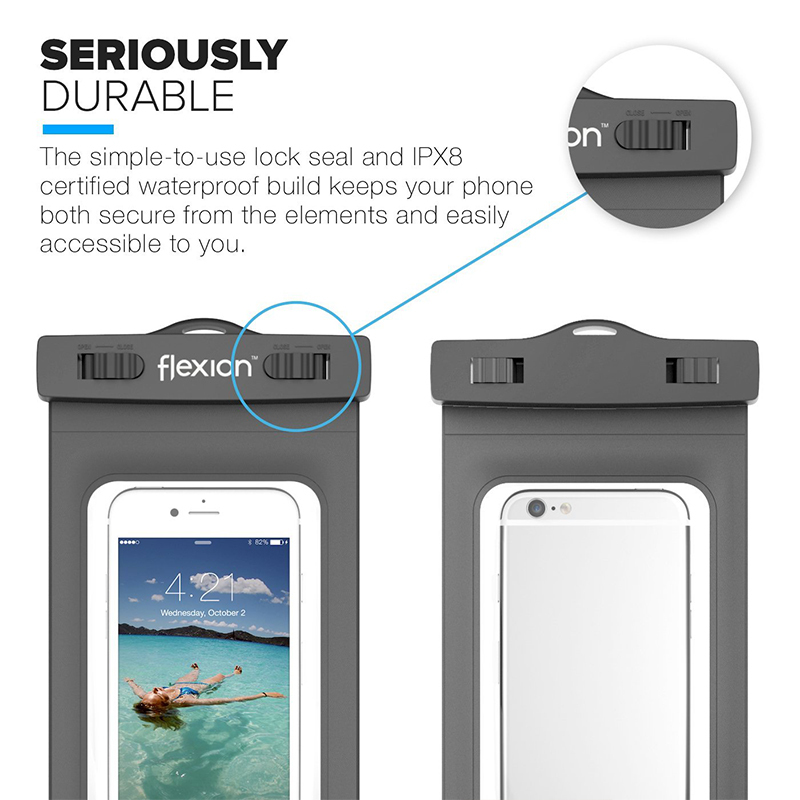 Full Camera and Touchscreen Access: Enjoy IPX8 Certified waterproof protection of our case bag while having full touch screen and camera capability with our compatible protective screen cover. 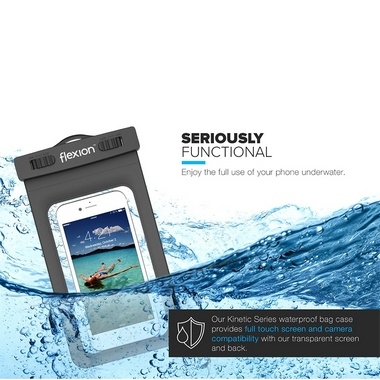 Simple To Use: our lock seal is simple-to-use and secure against the elements, and the provided neckstrap allows for easy carrying. Lifetime warranty: enjoy your Kinetic Series product as a permanent accessory to your active lifestyle.